Apple solves battery issue on 5.5 inch Apple iPhone 6? Last month, we passed along a story that the 5.5 inch version of the Apple iPhone 6 might be delayed until next year. The reason for the delay was Apple's inability to find a battery supplier who could meet the specs required by the tech titan. In order for Apple to get the battery to fit into the rumored 6mm thin device, the size of the cell reportedly had to come in at 2mm or thinner. A normal smartphone battery is 2.8mm to 2.9mm thick. The good news is that Apple has found a supplier, and it is not its Dynapack International Technology Corporation, the company Apple has turned to for its iPhone batteries in the past. Instead, Apple is planning on buying 20 million batteries from Sunwoda at 40 Yuan each ($6.40 USD). Thanks to that bit of rumored information, we can compute that Apple plans on building 20 million units of its phablet-sized iPhone this year. Considering that earlier reports had Apple building a total of 80 million units of the iPhone in 2014, only 25% of those phones being built will be the larger 5.5 inch model. That would seem to indicate that the phablet will carry a premium price, possibly more than many were expecting. Hppefully it lasts longer than the 6 hour Note 3..
Portly is not considered sheik. Portly is not considered cheap more likely is the case. If they kept the thickness the same and added a larger batter it would cost them more money. This way they can skimp on actual product value and replace it with (at this point) gimmicky thinness and call it revolutionary, beautiful, amazing, extraordinary, etc without it costing them a dime (they will even save on metal costs). When people rag on the HTC M8, and other phones, for being bulky and heavy, I'd assume so (especially being that a new size is coming to Apples lineup). Comfort and ease of use is a big part of Apples DNA. It's in their blood. Not ragging on HTC at all, or other heavier phones, but really…what is the problem? It's not like people will be holding a graham cracker in their hand… Gotta give credit to companies who make thin or small phones who can pack all that hardware inside. "who make thin or small phones who can pack all that hardware inside." Well that's the prob..."all that hardware" WILL face a final compromise that'll be deemed counter productive; either the batt capacity will be cut down OR SoC under clocked lower than it's optimal potential. Half the time people rag on M8 more on HTC's allergy to 3000mAh batts instead of its heft. HTC has a long record for shoving anemic batteries into otherwise great devices. Back in the day I had an HTC "Star Trek" on Verizon, and Verizon required them to double the battery size before they would sell it. Worked great with the big battery, except the new battery door kept breaking off because it wasn't engineered for such a large battery. Samsung wasn't much better back then, but they've gotten the message. Verizon required Samsung to pack in an extra battery with the Samsung Blackjack because the battery life was abysmal. The Blackjack 2 had a monster battery in it though, on Verizon, again. I agree, especially when overwhelmingly people want better battery life for their smartphones more than any other feature. 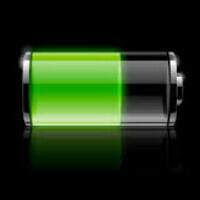 iphone needs good battery life like others ( samsung sony htc lg ) having a thin phone is good but battery life more important. my friends who have iphone says iphone cant make it to the end of day. My friend who has 5S says that he can make one day relatively easily, but two is possible with very very frugal use. Considering how other portable Apple products (Macbooks and iPads) have excellent battery lives, iPhone is bit dissapointing. My iphone 4 does. But i am not power-gamer. In a country where people are getting so "large" this obsession with "thin" for their tech appliances seems totally surreal !!!! Yeah 2000 mah, thats huge. Seriously how ipads have great battery life(witness here) and how puny iphones have measly small batteries. That extra 1.5" + dimensions are a whole diff thing buddy and out of curiosity how's the dev support for this device of yours?